VP Records says they will be releasing a three-disc compilation of his hit singles from legendary reggae singer Dennis Brown. The compilation of 47 of Dennis Brown's greatest work also includes a bonus DVD which features the reggae singer live in some concert and includes seven additional hits that are not included on the audio discs. 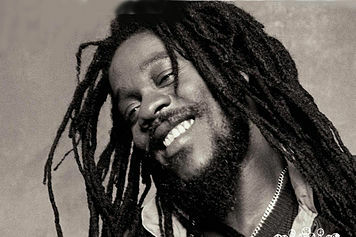 Dennis Brown prematurely passed away in 1997 at the age of 42. His death left a huge void in reggae music similar to the void that Bob Marley’s passing left in 1980. Brown earned himself the title of Crown Prince of Reggae. \n\n\nVP Records says they will be releasing a three-disc compilation of his hit singles from legendary reggae singer Dennis Brown. \nThe compilation of 47 of Dennis Brown's greatest work also includes a bonus DVD which features the reggae singer live in some concert and includes seven additional hits that are not included on the audio discs. \nDennis Brown prematurely passed away in 1997 at the age of 42.\nHis death left a huge void in reggae music similar to the void that Bob Marley’s passing left in 1980. \nBrown earned himself the title of Crown Prince of Reggae.